In this edition John answers questions the first official multi-race South Africa side, Members of Parliament to have earned international honours and players to have won Rugby Blues for both Oxford and Cambridge. Do you have any info on the line-up of the SA Invitation XV which played the French touring side at Newlands on June 7, 1975? The South African team was widely "advertised" as South Africa's first-ever multi-race line up? The South African Invitation XV was the first official mixed-race team (containing white, black and coloured players) ever fielded in South Africa. It was selected by Dr Danie Craven and inflicted on the French the first defeat of their tour, winning 18-3 in front of a packed stadium at Newlands. Twenty-one-year old John Noble, one of the two Federation (Proteas) players in the side, scored the try of the match, running down the right wing like a shot from a cannon to swallow-dive onto Dawie Snyman's grubber kick and score in the corner just before half-time. Prop Turkey Shields was the other Federation player in the Invitation XV while the Leopards supplied wing Toto Tsotsobe and Morgan Cushe, a well-known flanker. Did any former Test players serve as MPs in the recent British Parliament? When the British Parliament was dissolved earlier this month the only former Test player who was a serving MP was Derek Wyatt. He won his sole cap as a tenth-minute substitute wing for David Duckham during the match against Scotland at Murrayfield in 1976. He was then with the Bedford club but later played regularly for Bath. As a postgraduate student, he won an Oxford Rugby Blue in the 100th Varsity Match (1981). Originally a teacher, he was later in publishing before becoming MP for Sittingbourne & Sheppey in 1997. He is standing down at this election after 13 years' service. This could probably be the subject of a whole book, but before the advent of league rugby, how did teams choose their fixture lists for the season? Were all matches "friendly" matches? League rugby in Britain began in Scotland in the 1970s. England, Wales and Ireland followed so that by the 1990s all four of the Home Unions had well-organised tournaments for their leading clubs. Before that, as you suggest, all fixtures were indeed regarded as "friendlies". Every club committee elected an unsung hero whose title was "Honorary Fixtures Secretary" and this hard-working servant was responsible for arranging his club's matches. This was usually achieved by the simple but laborious method of contacting counterparts in other clubs and systematically filling up all the available Saturdays in a season, which before the professional era ran from 1st September to 30th April. Many of the leading clubs, of course, had long-established fixtures. Bristol and Gloucester usually provided one of the first big clashes of the season, regularly meeting on the fourth Saturday in September. Llanelli, for instance, regularly visited London Welsh on the fourth Saturday of October, while the Scarlets hosted a traditional holiday fixture for the exiles on Boxing Day. Indeed, during the early 1970s, when the clubs supplied many of the Welsh XV, their Christmas fixture was often regarded as an extra unofficial Welsh trial match. Rugby has always benefited from its well-known players wanting to put something back into the game, and the roll-call of fixtures secretaries in the 1980s, when the sport was in the last throes of amateurism, made impressive reading. 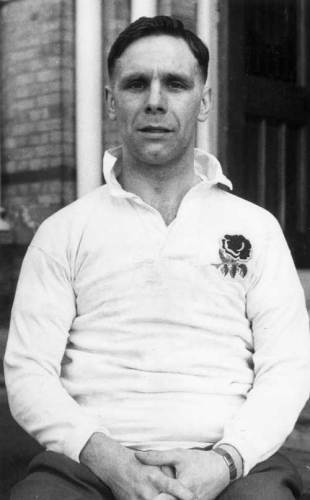 Peter Jackson, the distinguished England wing (1956-1963) and 1959 Lion filled the position at Coventry for many years; Dr Doug Smith, a Lion himself in 1950 and manager of the 1971 Lions in New Zealand, served his club, London Scottish, as fixtures secretary for years, while at Llanelli Handel Greville, the former Wales scrum-half, had the difficult job of compiling a list of fixtures that ensured his club maintained its prominence by meeting the best sides in the Home Unions. Is there a classification of "first-class rugby" in the way that there is for cricket? And if so, is a list of all first-class rugby matches available? Not in the Home Unions. Because all matches were regarded as "friendlies" until the advent of the Leagues and European competitions in the Northern hemisphere, no attempt was ever made to classify games as "first-class." In fact, the lack of an official first-class definition often led to controversy. One of the most eagerly awaited rugby publications of the past was the post-war Playfair Rugby Football Annual, a pocket-sized guide that appeared in early September each year from 1948 to 1972. Apart from providing a thumbnail guide to the season just passed, it contained an appendix of the season's forthcoming fixtures. The annual's compilers used to write to the fixtures secretaries of the so-called "leading" clubs asking for a list of their provisional fixtures. These were then transcribed to the long list of day-by-day fixtures that covered the entire season. The listing was an invaluable reference for the media and an essential guide to the ordinary rugby fan who wanted to arrange trips to see the best players perform in a club context. But of course not every club was able to respond to the compilers' requests and it was a matter of hit or miss whether some club's fixtures were included. When Rothmans Rugby Union Yearbook succeeded the Playfair series in the 1970s, there were many protests from club supporters at Ballymena, Llanelli and London Irish who objected to the absence of their fixtures, while noting that lesser well-known clubs such as Cardiff College of Education, Aberaman, Mountain Ash and Greenock Wanderers were included. It didn't mean that any clubs had been deliberately overlooked: replies somehow never reached the compilers. Had there been a clear definition for first-class club status the controversy could have been avoided. The situation in the Southern hemisphere was different. The NZRFU were the first to appoint an honorary historian (the late Arthur Swan). He was entrusted with the task of defining which matches played in New Zealand should carry representative (ie first-class) status and in 1947 he published the first volume of his monumental History of New Zealand Rugby Football, wherein appeared the results of all representative matches played in New Zealand between the late 1800s and 1939. A number of excellent successors have helped bring his work up to date in New Zealand and similar arrangements have held in South Africa. Are you aware of any players who have gained Rugby Blues representing both Oxford and Cambridge Universities? The first player to win Rugby Blues for both Oxford and Cambridge was Tim O'Brien, a threequarter who appeared for Cambridge in their winning sides of 1981 and 1982. As a postgraduate (studying psychiatry - most appropriately his friends joked as it enabled him to understand schizophrenia), he was in the Oxford side of 1983 and captained the Dark Blues in 1984. On the field with him for his first three Varsity matches was Nick Herrod, an Oxford engineering undergraduate who played prop in three losing sides before moving to Cambridge to take his doctorate. Herrod turned out in two more losing sides for the Light Blues (in 1985 and 1986) before, at his sixth attempt, winning in the Varsity match with Cambridge in 1987. Another of their contemporaries, Simon Roberts, followed O'Brien's route, winning a Cambridge Blue in 1983 before extending his medical studies at Oxford where he won Blues in 1985 and 1986. Roberts was never on a losing side in his three Varsity matches. Did Radike Samo, the former Australian Test player, win a Top 14 Championship Final medal with Stade Francais in 2007? He didn't start the Final but he did come on as a substitute for Arnaud Marchois in the 48th minute. His side was trailing 0-12 when he arrived, but Stade staged a brilliant late recovery to score two tries (one by Samo himself) and went on to beat Clermont 23-18. Samo was only the second Australian Test player (after Joe Roff for Biarritz in 2002) to appear on a winning side in a French Championship Final.